Presenting a product launch or your marketing strategies requires use of captivating content to instantly impress your audience and to keep their interest alive. This can include customers, senior management and even your subordinates. 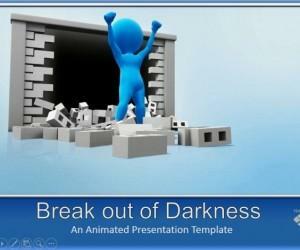 The Ready To Launch Presentation Template provides a set of attractive, animated slides that can be easily edited for making presentations related to marketing strategies, product launch, product analysis and the like. 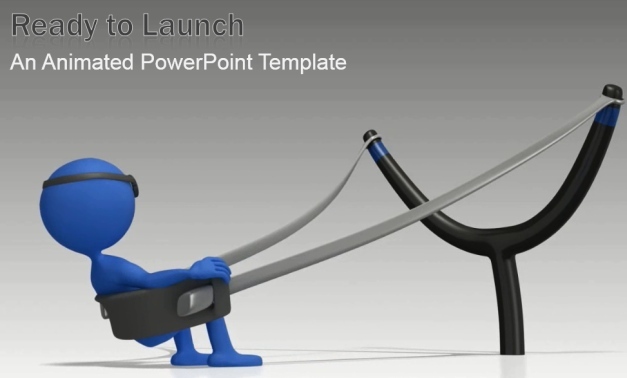 The opening slide provides a very interesting animation of a stick figure using a sling shot to launch himself. This animation can be customized by adding your company logo, title and sub-title. You can also include relevant images. 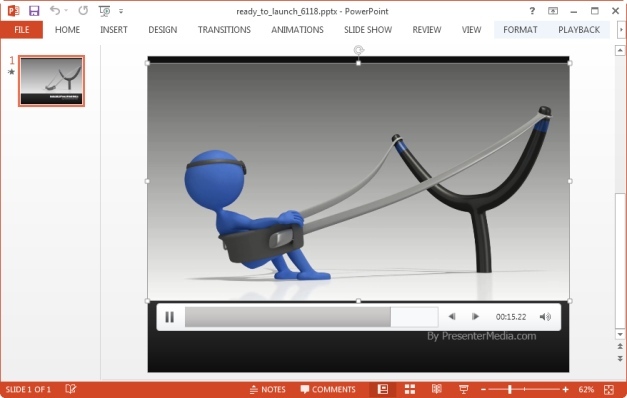 All added content will play out with the animation, complementing your work. The animation itself is attention grabbing and bound to get you started with a fair amount of success, by putting a smile on the face of your audience. 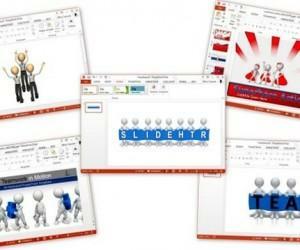 The template contains a variety of slide layouts and useful content that can be used in one or more slides via copy-paste. 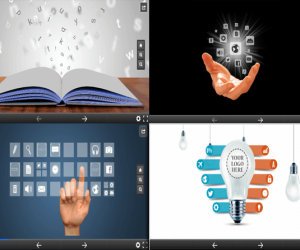 This includes interesting clipart images, editable charts, SmartArt Graphics to help you create custom diagrams and picture slides to present information with the help of some text and images. 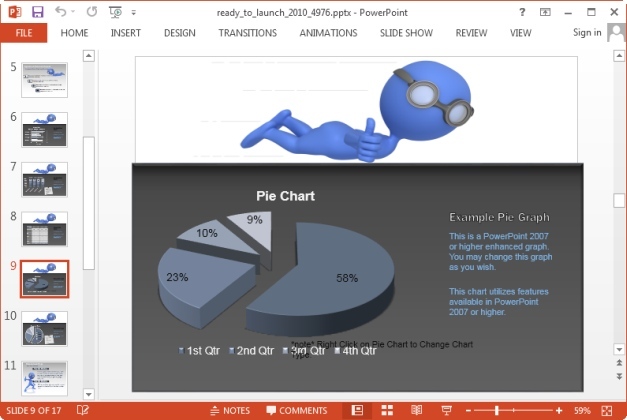 This template has versions available for PowerPoint and Keynote and works even with the latest version of PowerPoint, i.e. 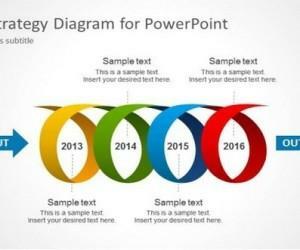 PowerPoint 2013. 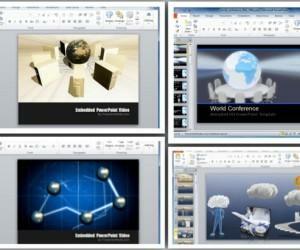 Furthermore, the template is also compatible with PowerPoint for Mac and both Keynote for iPad and Mac OS. 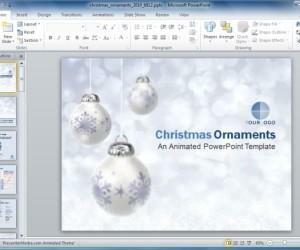 The animation of the above mentioned template can also be downloaded as a standalone video animation. This video animation is available as a PPTX file, which can be customized using PowerPoint Video Tools, as well as in various video formats like WMV, FLV and MOV. 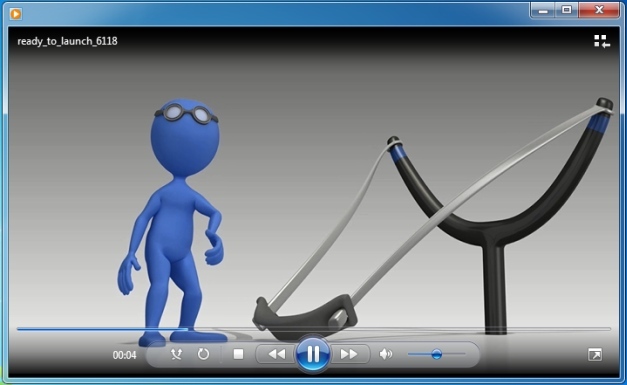 The below screenshot shows the WMV format of this video animation. 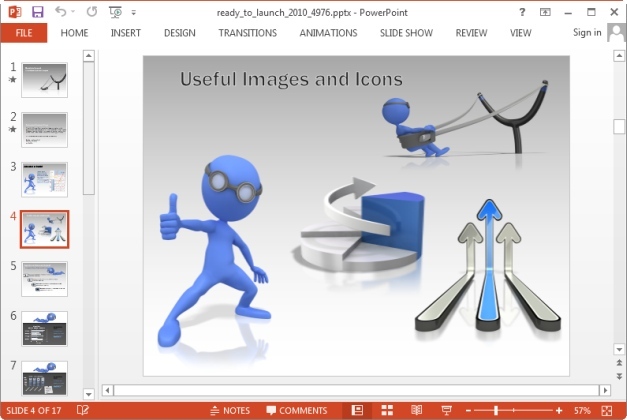 Other than the PowerPoint format of this animation, you can use the video versions in various ways, such as for a website, with video editing software for your projects and in different presentation applications which support WMV, FLV or MOV formats.